Ogden Valley Living at its Best! 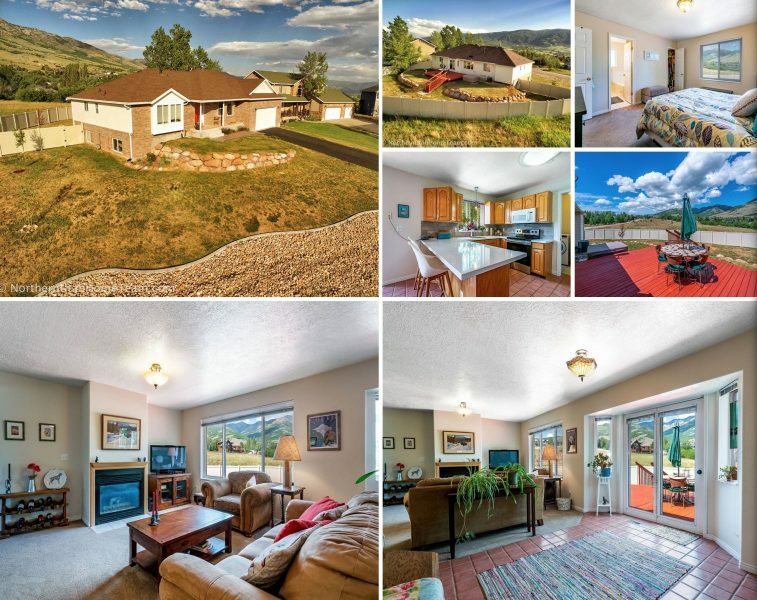 Welcome home to your 7-bedroom, 4-bathroom beautifully updated Rambler Ogden Valley (Eden) home for sale, with a fully finished basement, next to acres of green space. You will love that this home has had a lot of updates in the last 3 years including a new roof (2016), full privacy fence added to backyard, updated kitchen with quartz counter and backsplash and stainless steel refrigerator & stove, updated light fixtures, updated deck with newer hot tub, update features in the master bathroom, and new carpet downstairs. Enjoy single level living and plenty of gathering space with a main floor Family Room and Living Room with big bay windows. Cozy around the fireplace after winter fun and enjoy the coolness of central air after summer play. Your cook will be so happy in this spacious kitchen that has plenty of cabinets and countertops. Serve meals at the snack bar, in the sunny eating area or out on the deck. Escape to your Master Suite and love having a walk-in closet and private Master Bathroom with dual sinks, jetted tub and separate shower. Appreciate having 2 more bedrooms nearby and 4 in the basement giving you room for everyone and their stuff. Plus, having 2 more bathrooms with showers will help eliminate bathroom hassles. Enjoy the bonus room in the basement that will make a great craft room, exercise room, office, play room or whatever fits your needs. There is also a huge cold storage room. Relax, entertain and dine on your deck as you overlook your beautifully landscaped yard with raised gardens for veggies. There is plenty of space for pets, kids, and gatherings in the fully fenced yard. You will love having HOA common land/green space behind and to the side of your property where wildlife sightings are frequent and no one will ever build. Plus you are surrounded with gorgeous mountain views. All this is located close to all the recreational options of the Ogden Valley including world class skiing at Snowbasin & Powder Mountain resorts, water sports on the Pineview Reservoir, golf at Wolf Creek and hiking, biking and horseback riding on the miles of trails. Yet the amenities of the Wasatch front (dining, shopping, entertainment, university, hospitals, etc) are only minutes away. Call today for your private tour.